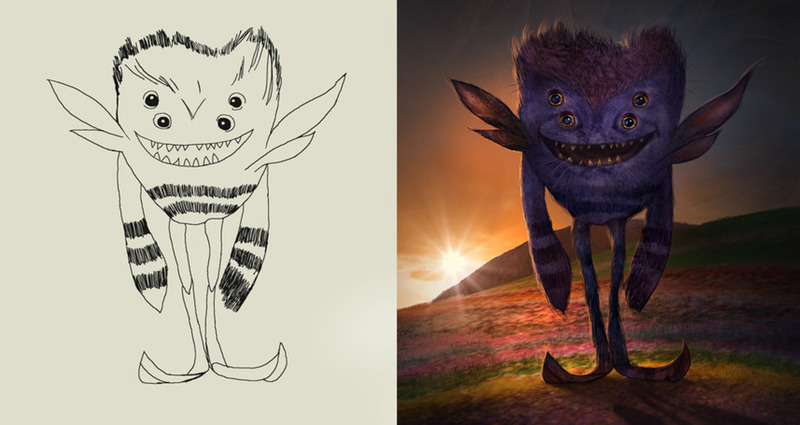 The online series, "What Lives Inside" was announced in January 2015 with a call to the audience to submit creature sketches that could possibly be featured in the film. The original web series is directed by Academy Award-winning VFX artist/AD/director Robert Stromberg ("Avatar") and stars Colin Hanks, Catherine O'Hara and Oscar winner JK Simmons ("Whiplash") in a tale about a lost son and his departed father, a famous puppeteer beloved for his creativity. Taylor discovers a lot more about his father only after his dad's death. The Dell tablet is not the subject of the story being told, yet it is a character and ultimately a tool that allows Taylor to navigate "The Land Beyond". The web series is set in a richly surreal world inhabited by fantastical creatures - all crafted entirely in CG with creatures submitted by the audience and featured in the film. In episode 4, one character not only becomes fully rendered, but animated to play a pivotal role in the outcome of the story. Of over 6,000 creature sketches submitted via the films official website, 144 were selected and featured in the film.